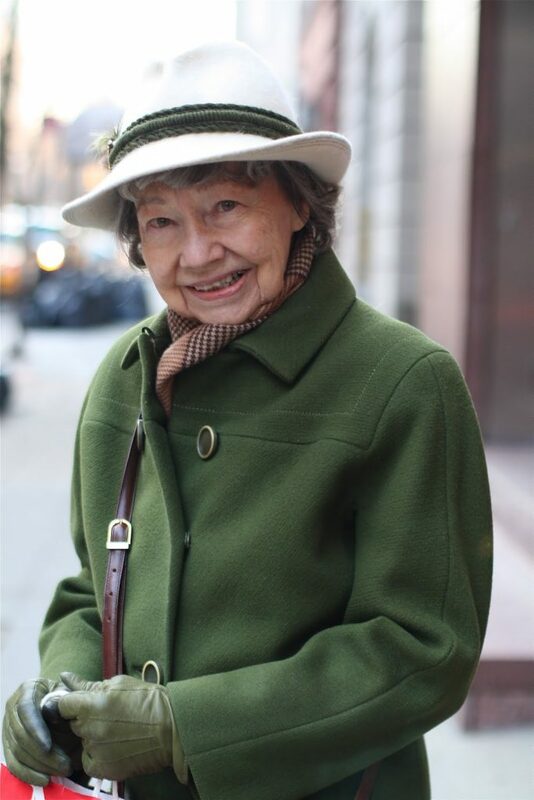 I spotted this lovely lady by the Met and loved how she coordinated her green coat, gloves and the band on her hat. 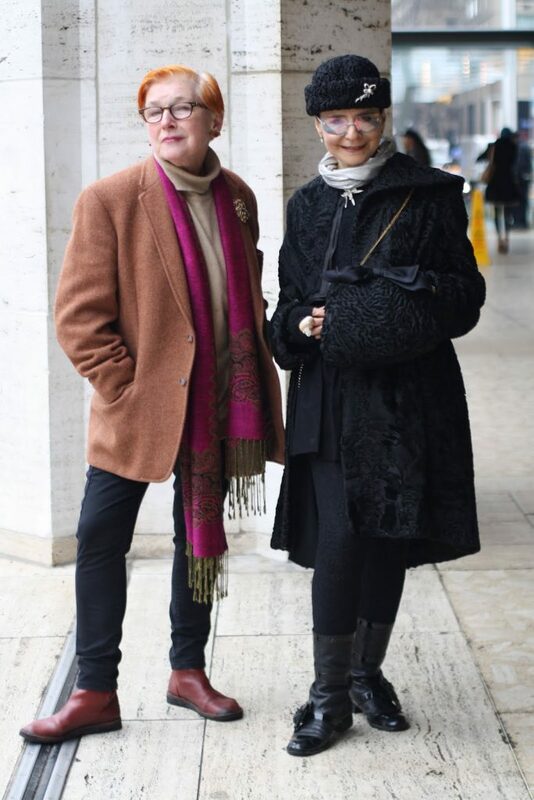 The Advanced Style ladies are masters of coordination. What are your favorite colors to mix and match? During this season’s fashion week some of the Advanced Style ladies and I braved the cold and rainy weather to film a TV spot for a Canadian fashion program. They were all such great sports, putting on their finest warm weather clothes for an hour’s worth of outdoor interviews and shots. When I asked the group if they were okay they announced, ” Of course we are, we’re New Yorkers.” They weren’t going to allow a little bad weather spoil their fun. During our filming journalists and bloggers crowded around to get a glimpse of these glamorous ladies. We had a great afternoon and I can’t wait to see the finished product. 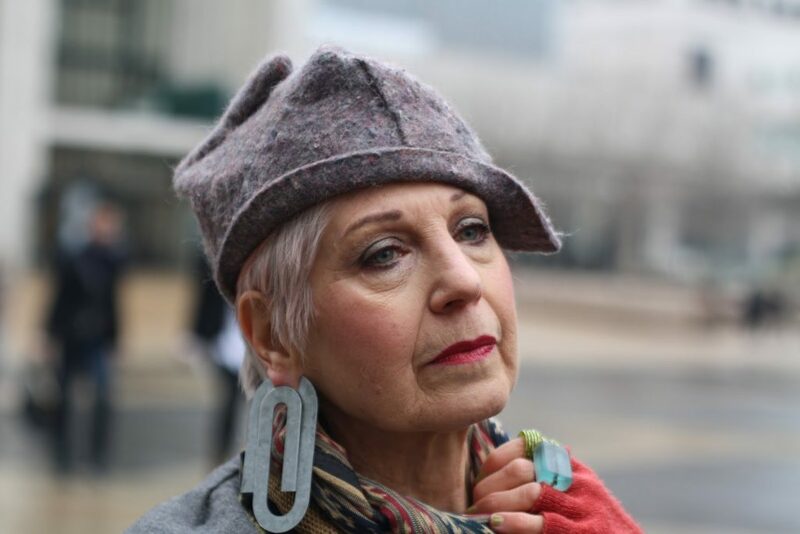 Jacquie looks incredible not even considering her age, but at 81 she’s even more of an inspiration for us all to continue to dress up and feel great. She designed this gorgeous striped dress out of material she found at a fabric store. I love getting together with her and hearing about all of her adventures, dancing at The Apollo Theater, and listening to her plans for the future.Over the past 80 years Jacquie Tajah Murdock has never stopped dancing and never stopped dressing. I met 81 year old Rita on a trip to Seattle over the weekend. She walked into the Great Harvest Bakery in Ballard wearing the most interesting pair of alien-eyed sunglasses. I was very intrigued and need to know more about her. I waited until she was finished purchasing her loaves and then asked if I could take her photo for my style blog, based in New York City. 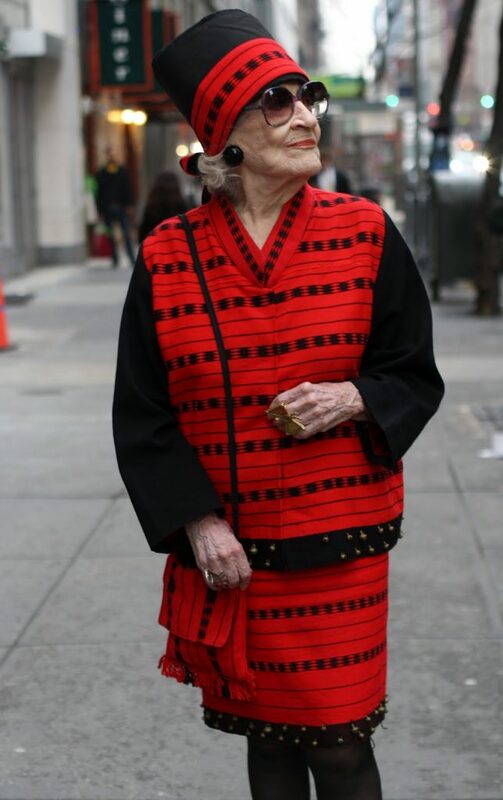 She was delighted and told me, “I have over 70 pairs of glasses and I wear a different pair everyday. Meet me here tomorrow and I will bring a whole bag full.” I knew that I couldn’t miss out on this opportunity! The next day I met Rita outside the bakery wearing an even more spectacular pair of multicolored sunglasses. She showed me a grocery bag full of glasses that I could choose to photograph her in. 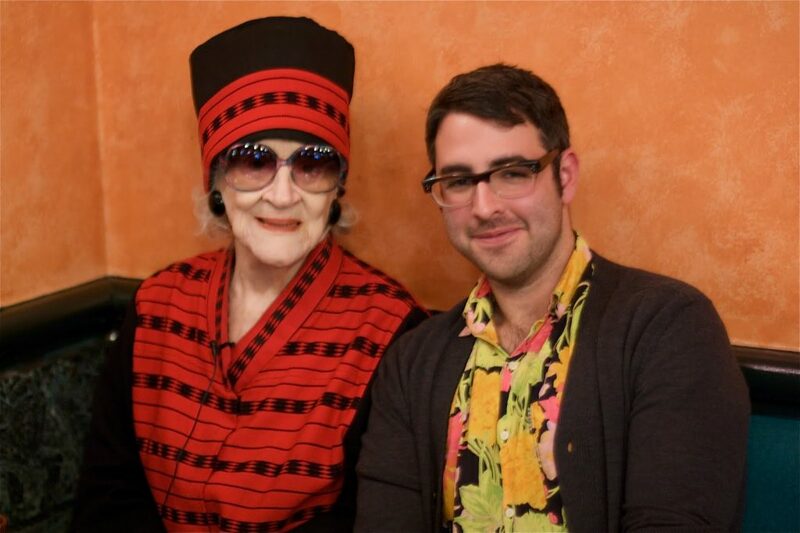 We had a great time talking and taking photos and she told me the story of why she wears such outrageous glasses. 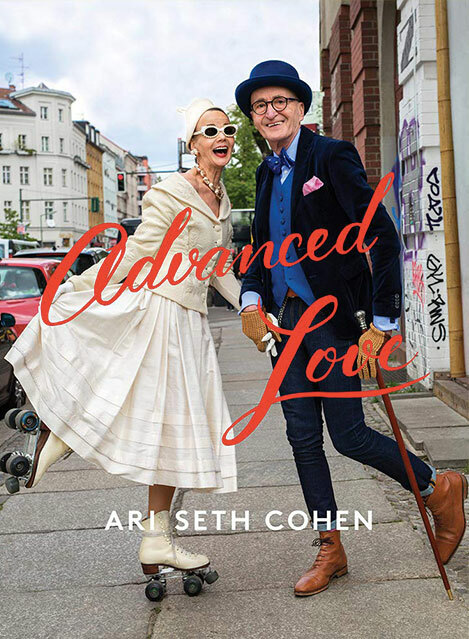 I loved meeting this wonderfully eccentric and charming woman and hope you enjoy her story and of course her amazing collecting of glasses. 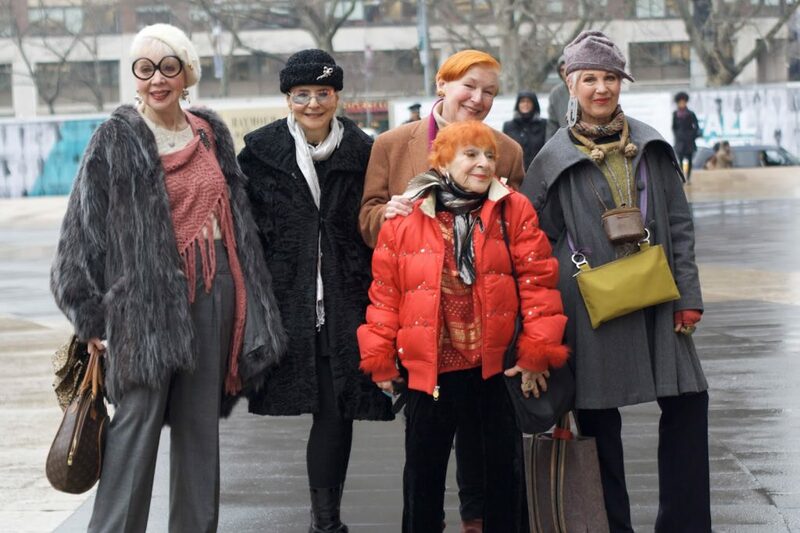 Yesterday 95 year old Zelda Kaplan passed away after collapsing, front row, at the Joanna Mastroianni Fashion Show. Zelda lived an amazing life.When we would get together she would always start by telling me how lucky she had been to have so many great opportunities. She traveled the world and collected hand woven fabrics and worked as an activist to bring the issue of female mutilation into discussion. Zelda had a zest for life. 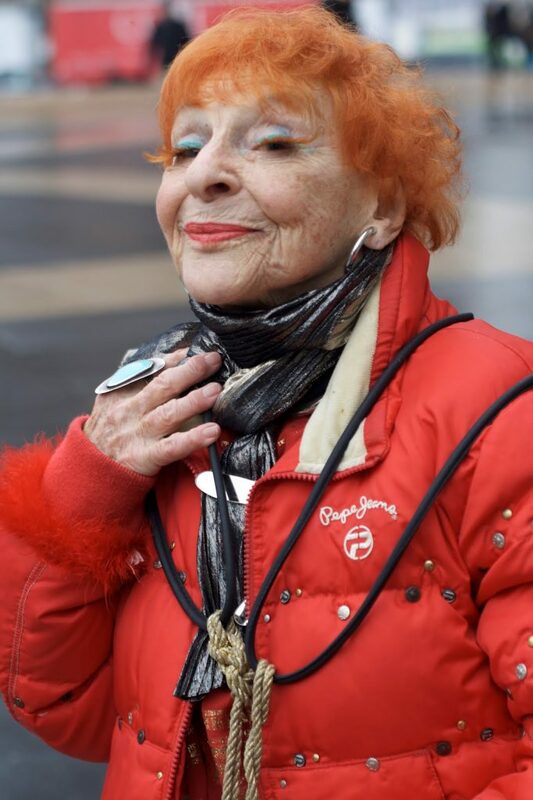 She loved dancing and was a regular at New York’s hottest clubs where she could be spotted dancing the night away in her brightly colored suits and matching hats. When I met Zelda the first thing she asked me was if I liked to dance. When it came to style she told me, “If you look well, then you heighten the atmosphere of a place, but remember to always be yourself. You can’t turn marble into silk.” Zelda definitely heightened the atmosphere wherever she went. I was lucky to have known her, even for such a short amount a time. I will cherish the advice she gave to me and remember her wonderful spirit always.